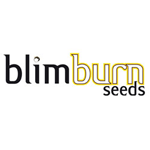 Blimburn Seeds - BC Diesel. Free US delivery. BCN Diesel comes from two of the most celebrated strains Jack Herer and NY Diesel. The best way to describe this strain is to take Jack Herer and add some extra potency and (thanks to NY Diesel).